Will Chiropractic Adjustments Help Me? Torticollis or “wry neck” is a condition affecting the neck muscles and cervical spine of an estimated 3 in 100 babies and children. Torticollis literally means “twisted neck”. An infant or child suffering torticollis will exhibit a noticeable head tilt toward one shoulder, with the chin pointing toward the other. It is a musculoskeletal issue that can hurt a baby’s health and development—poor neck posture can pinch nerves crucial to communicating with all areas of the body. Pediatric chiropractic care provides safe treatment for babies and children with torticollis, providing neck pain relief and also relieving symptoms of fussiness, feeding problems, digestive issues and frequent ear infections. Your Well Beings Chiropractic Family Health chiropractor can gently correct torticollis, so if you live in Lakewood, Edgewater or Wheat Ridge, schedule an appointment today. Congenital torticollis is considered a “birth injury”—a complicated or breech birth can significantly strain a baby’s neck muscles and spinal alignment. Prenatal chiropractic care can reduce birth complications that increase the risk of torticollis. Acquired torticollis can also develop after birth for a number of reasons, including medical conditions, insufficient tummy time for neck development, and sleeping in the same position too frequently. A baby with torticollis will exhibit the obvious twisted neck symptom, often with colic, digestive problems, colds or ear infections often following. Without treatment, torticollis can lead to consistent pain in neck muscles, pinched nerves, a flattened head on one side, uneven arm length and hip dysplasia. Fortunately, pediatric chiropractic care, with gentle spinal adjustments over the course of a few weeks usually resolves torticollis, helping a fussy infant grow into a healthy baby and child. Our Well Beings Chiropractic Family Health chiropractor is highly-skilled at the gentle chiropractic techniques that can keep a child’s spine correctly aligned so the nervous system can work for optimal development overall. Following your chiropractor’s advice at home can also help: give your baby plenty of tummy time to strengthen neck muscles, and encourage her to look the other way frequently. Gentle chiropractic treatment helps your infant’s whole nervous system develop well, and can successfully resolve torticollis. 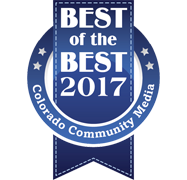 If you live in Wheat Ridge, Edgewater or Lakewood, schedule an appointment today: 303.238.6500. 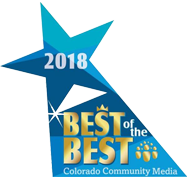 Well Beings Chiropractic Voted Best Of The Best 5 Years Straight! 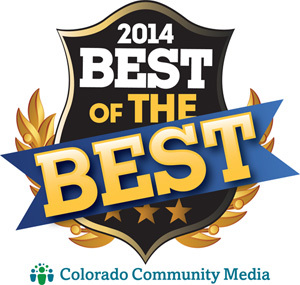 Well Beings Chiropractic has been voted best chiropractor in Lakewood, Golden, Arvada, Wheat Ridge and Westminster! Copyright © 2019 Well Beings Chiropractic. All rights reserved.